Wow...10 days has flown. 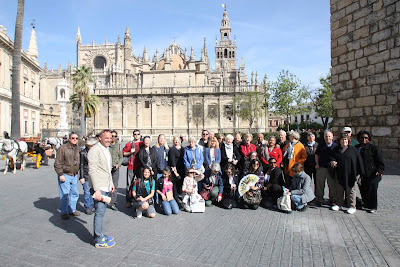 We had a wonderful time visiting the beautiful country of Spain. We learned a lot about the country's history and landscape. As an added bonus, we were able to meet some amazing people from all around the world that joined us on our tour. We are very excited about the number of people who have taken time to travel with us to Spain and we look forward to you traveling with us on our next Edgecombe Community College Travel Abroad Trip. Please stay tuned to our website for additional photos from this trip and information on our upcoming trip- Take Care.